Mojang Admits Minecraft - Pocket Edition Plans May Have Been "A Huge Mistake"
Minecraft developer Mojang will have to dig up a few new components before its mobile game lines up with fan expectations. If you're reading this site, there's a good chance that Minecraft has stolen countless hours of what could have otherwise been a productive, exciting life and replaced it with boxy zombies and painstakingly detailed replicas of the Death Star trench run. Up until recently, however, you could at least escape its clutches by venturing outside your home (you know, your real, physical home). Developer Mojang plugged that particular hole by releasing Minecraft - Pocket Edition for iOS and Android. Minecraft on the go seemed like a no-brainer to many smartphone owners, but according to Mojang, the game wasn't everything fans hoped it would be. Now, it asks for their patience as it implements a major overhaul to give Minecraft engineers what they want. "[We] had an initial plan of making Minecraft - Pocket Edition more like Minecraft Creative," says Daniel Kaplan, Mojang's business developer. "But alas we were wrong. We have read tons of comments and feedback and it seems like we made a huge mistake." Kaplan does not go into specifics, but the requests from players wanted a fairly different game than what Mojang supplied. They requested "monsters, resources, animals and more different blocks," which came as something of a surprise to Kaplan's team. "[The] initial code we had written didn't exactly fit with the new plan where we wanted to add all the stuff you have been asking for. So we have been reorganizing, rewritten and changed the whole plan for Minecraft - Pocket Edition." The update isn't exactly around the corner, as Mojang does not plan to submit it to the iOS and Android markets until February 8, 2012. After that, the two markets must approve the update before it becomes available. As it stands, this update in and of itself won't radically change the game's content. Crafting, for example, still requires significant redesign and won't make the cut. However, Kaplan assures fans that this is just the necessary first step for many future endeavors. "[The] foundation for [the survival aspects of the game] will be mostly done and we can throw out much more fun updates!" Based on Kaplan's information, it seems like Minecraft - Pocket Edition is still a long way off from being the game that fans were expecting. Even so, the fact that Mojang is willing to drastically redesign the game to accommodate fan expectations speaks well of both its work ethic and its relationship with customers. 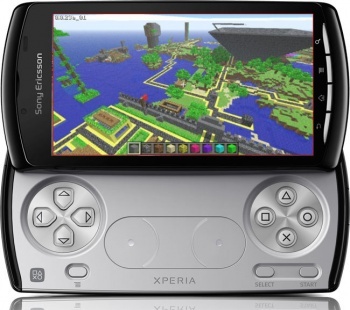 Be honest, though: Given how much time you may intend to sink into it, is a fully functional version of Minecraft on your phone really what you want?